Douglas Adams once wrote, “Space is big. You just won’t believe how vastly, hugely, mind-bogglingly big it is. I mean, you may think it’s a long way down the road to the chemist’s, but that’s just peanuts to space.” In the spirit of hammering that reality home, Margot Trudell, a graphic design graduate student from Canada’s OCAD University, has created an interactive scale model of our solar system. She then made that feat even more awesome by creating a series of infographics that chart the history of humanity’s space exploration. It’ll blow your mind clean out of your head. 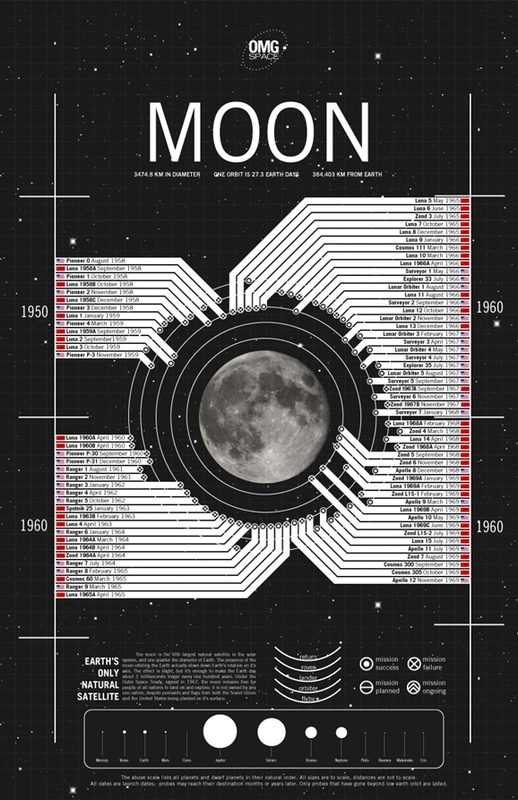 You can click the image below to see a full-size, more easily readable version of her infographic for the Moon. Are you tired of the rocky red vistas of Mars already? Well, that was quick, but never fear: here is a truly glorious pic of a planet that is green and blue and some even think is host to lifeforms intelligent enough to have a space-faring capability. 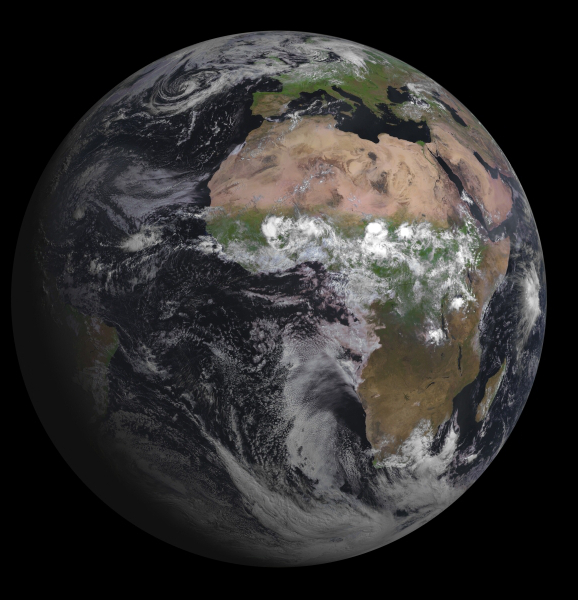 There is always a downside though, and this particular blue marble is also home to politics, war, and something the natives call Kardashians. Astronomers have newly discovered a small “hiccupping” or spinning star in the vacuum of space. They are calling this discovery “Pulsar J1838-0537.” It is an extremely rare breed of pulsar that radiates light only in the high-energy gamma-ray range of the electromagnetic spectrum. The Fermi Gamma-ray Space Telescope discovered the pulsar when astronomers analyzed the data it collected. After the discovery we were very surprised that the pulsar was initially only visible until September 2009,” he continued, “Then it seemed to suddenly disappear. But the pulsar didn’t actually disappear, it excelled to about 38 millionths of a Hertz, making it look like it vanished. “This difference may appear negligibly small, but it’s the largest glitch ever measured for a pure gamma-ray pulsar,” said Bruce Allen, the director of the Albert Einstein Institute. When scientist at the Institute expected the beam of light from the pulsar to appear, it seemed to have vanished but the data from the Fermi Gamma-ray Space Telescope confirmed otherwise. There’s a sad reality to face, my friends. The chances of any of us living to see the fantastic future science fiction has promised us, with sightseeing trips to the rings of Saturn and easy transport to distant star systems, probably isn’t going to happen within our lifetimes. Sure, there are exciting developments in space exploration happening all the time, whether it’s private companies like SpaceX or the Curiosity rover that’s about to touch down on Mars next week, but our dreams of warping around the galaxy have never seemed so distant. Thankfully you can get a taste of what it might be like to travel the cosmos courtesy of a frankly amazing bit of software called SpaceEngine. Fed up by the government’s lack of forward momentum in human space flight? You’re not alone. Ever since the final launch of the space shuttle program, there has been a grass roots effort to take humanity back to space in a meaningful way with everything from letter campaigns and angry editorials, to even a petition to the White House to double NASA’s budget. While commercial space is steadily making strides towards replacing NASA’s main conveyance to the International Space Station, the current direction for human spaceflight beyond Earth’s orbit is ambiguous at best. A new documentary from Paul Hildebrandt titled Fight For Space aims to discover just how America’s vaunted space program got to this point, and where it can go from here.